The Concept Lab studies the architectures of conceptual forms. It is committed to the view that concepts are not equivalent to the meanings of the words which express them. The Lab considers conceptual architectures as generating structured environments for sensing that one has arrived at understanding. Through computational methodologies it seeks to describe and analyse these structured environments which have both internal and external manifestations. With respect to the internal structure of concepts we aim to characterize not only form and function but also modalities and other attributes of conceptual entities. In the case of external features we seek to uncover the conceptual networks within which concepts circulate. 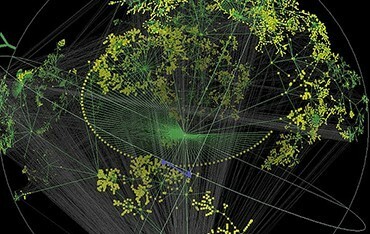 In both cases the Lab develops data driven accounts of these structures and networks derived from large scale corpora.